Selecting the best nursing school in Kansas can be difficult. To make the process easier first look for a school that supports students towards licensure and beyond. A great way to measure this is through NCLEX-RN "pass rates." We have ranked the top 10 nursing schools in Kansas by analyzing current and historical NCLEX-RN "pass rates", meaning the percentage of graduates who pass the exam, out of the 34 RN programs in the state. Programs reviewed include schools that offer an Associate in Nursing (ADN/ASN), BSN, or Direct-Entry MSN Degree. With the trend of nursing care moving toward a higher standard, Kansas is moving toward a model of promoting higher education. Nurses are being compensated on average 45% more in annual salaries if they attain a Bachelor's of Science in Nursing (BSN) or greater degree. Kansas is challenging their nursing industry to move toward that higher standard of care by promoting higher education. The state is seeing an influx of jobs over the next few years at an estimated rate of 18%, and is committed to meeting their goal and empowering nurses to join in the challenge. A decisive choice for many high school students, pursuing an ADN or Associate's Degree in Nursing is a great way to start a lucrative and rewarding career. Many ADN programs are 2 years in length, or less if students opt for an accelerated program. Search out ADN programs in the state's public and private colleges to begin your healthcare career path. The state has over 20 ADN programs offered through community and technical colleges to ensure that nursing education is accessible to all who wish to pursue it. With 20+ programs that offer the same ADN degree upon graduation, how is a student to know which school is the best fit for them? After the obvious questions of commuter or live-away, and public or private, students can consider some of the following metrics to ensure that they are making an evidence-based decision on where to spend their education dollars and their time. While it seems like 'everyone' has an accreditation that meets state and federal standards, it is important for students to ensure that every school they consider has appropriate accreditation in place. While the opposing view is that accreditation is unnecessary, it serves a real purpose for students who can measure how much they're learning against other programs, and for employers who can evaluate candidates with the same degree. 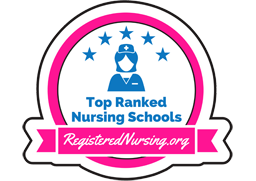 The Commission for Education in Nursing (ACEN) and the American Association of Colleges of Nursing's Commission on Collegiate Nursing Education (CCNE) are the two main accrediting bodies for nursing - your college choice's website should bear the logo of either. The Kansas Board of Nursing works with each program in order to ensure that students who graduate are ready to sit and pass the NCLEX examination according to course outcomes and faculty teaching ability. It is only with an NCLEX 'pass' that candidates can be called 'registered nurse' and thus be eligible to practice. Recent data shows that more than 88% of RNs passed the NCLEX on their first attempt. Johnson County Community College, located in Overland Park is home to a rigorous ADN program that meets state and national accreditation and licensure standards. Tuition is considered separately from many of the other costs associated with it. Usually calculated per semester or per credit hour, tuition costs are much lower at the college level. Students may further control costs by living at home, and applying to a public school that is in their home state. Students at North Central Kansas Technical College - Hays campus can expect to pay about $4,600 each year in tuition for in-state residents. Material costs, which include insurance, uniforms, equipment and books, are approximately $3,000 extra. Living costs are calculated separately. ADN programs continue to be a popular choice of nursing students, many of whom go on to upgrade their education as time and finances allow. With a two-year timeline and the ability to take the same exam for licensure, many ADN students see good value in the length and cost of the program when compared with the BSN. Smaller class sizes and variety of programs offered throughout the state are other benefits to the ADN. Bachelor of Science in Nursing (BSN) programs are offered at universities and satellite campuses throughout the state. Generally found in more urban environments, BSN programs are often double the length of their ADN counterparts. With large class sizes and many faculty, the programs are diverse, exposing students to a broad range of clinical experiences. 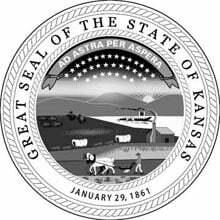 Kansas has more than 15 BSN programs offered throughout the state. The best BSN programs are not confined to a particular state, rather, to a particular mission and mandate to educate nursing students by modelling empathy, respect for diversity, and a drive to treat and prevent health care problems in an empathetic and evidence-based fashion. Newman University in Wichita has an excellent reputation as a private university that turns out first-rate nursing graduates. Newman students graduate with the skills and ethics needed to be an excellent generalist in the core areas of nursing, while having the foundation of a solid education when and if they want to pursue their MSN. The program has both accreditation through the CCNE and licensure through the state board of nursing. Traditionally, baccalaureate programs in nursing are four years long, with summers off. This works out to about 120 credit hours in order to earn a BSN degree. In recent years, changes to our health care system have increased the demand for nurses - as such, there are now a number of accelerated programs and RN-BSN bridge programs that account for a student's prior experience and then 'make up the difference' in schooling. Costs between universities within the state can vary greatly and depend on a number of factors. It's important to get a full cost breakdown of all the expenses you will incur from year to year. These might include nursing supplies and uniforms, insurance, room and board, university fees and tuition. After careful evaluation of the costs, be sure to apply for all financial aid, and look into campus work opportunities. For comparison points, the estimated tuition for one credit hour at Kansas State University is about $300. Room and board are about $7000 per semester. There are a number of advantages to pursuing a BSN program. In addition to a diverse school and clinical environment, nursing faculty are often attracted to larger university campuses in order to continue their own professional growth. As well, those students who graduate with a BSN are well positioned to make the next step in their career with ease, due to the value of their degree. MSN or Masters of Science in Nursing degrees are reserved for those RNs who are looking to become specialists in a certain area of health care like gerontology or pediatrics. The graduate program is offered at a number of schools both online and on-campus and degrees are available full and part time. Kansas offers many options for students who are interested in pursuing an MSN degree on-campus. There are more than five schools across the state that offer programs at the graduate level. MSN programs vary in length from 1.5 intensive years of study and placement to as much as 5 years of part time courses. At the graduate degree level, it is expected that many students will have personal and professional commitments aside from school. At the University of Kansas, graduate students can expect to pay about $500 per credit hour for the 40 or so credit hours in their course of study. On par with most other college and university programs, administration fees, lab and service fees, housing, food and equipment costs are calculated separately from the price of tuition. An intense 12 months of full-time studies and clinical hours can get you the career opportunities you are looking for upon becoming a nurse. Earning an accelerated BSN degree can put you at the top of the list when applying for job opportunities. Before beginning in the accelerated program you might be required to complete a few prerequisite courses, which can add a bit of time to the 12-month degree. These required courses will add to tuition costs, but they must be completed before entry into the program. Tuition costs vary from one program to another and can increase due to a variety of factors. Newman University in Wichita, Kansas is a private, Catholic university widely acclaimed for its personal clinical instruction in major teaching hospitals. BSN students graduate having learned from seasoned teachers with dynamic experience. Visit the Newman University nursing website to learn more. Baker University is located in beautiful Baldwin City, and is home to eminent BSN and MSN degree programs for nursing students. Baker graduates are compassionate, dedicated, and confident in their advance of nursing science and practice. Visit the Baker University nursing website to learn more. Highland Community College in Highland, Kansas is just south of the Missouri River. Graduates from HCC's nursing program enter the field of nursing with the ability to leverage technology to both improve the patient experience and advocate for their role in the field. Learn more by visiting the Highland Community College nursing website. Manhattan Area Technical College is located northeast of Junction City on the Kansas River. MATC nursing students have exciting opportunities to improve their clinical practice before entering a field poised to grow rapidly. Check out the official Manhattan Area Technical College nursing program. Emporia State University offers a traditional BSN degree pathway for prospective registered nurses. The program boasts small class sizes and a curriculum that emphasizes clinical experiences through nearby healthcare sites as well as lab simulations. Most students enter the program at the sophomore level and complete three years of major-specific courses. Get all the program details by visiting the Emporia State University website. University of Kansas Medical Center - School of Nursing lies at the heart of Kansas City. BSN and MSN students in these prestigious programs graduate ready to use their clinical judgment and reasoning to advance optimal patient care. Learn more by visiting the University of Kansas Medical Center - School of Nursing nursing website. Mid America Nazarene University is found in the community of Olathe, Kansas and is home to a widely esteemed nursing program. Preservice nurses pursue a BSN or MSN degree and enter the workforce ready to be a strong, patient and health advocate. Follow the link to learn more about the Mid America Nazarene University nursing program. Parsons is home to Labette Community College, which has offered a nursing program since 1968. Their ADN program is both ACEN-accredited and board-approved. It is a bi-level program, where both LPN and RN coursework is taken, and students can conclude at the completion of the LPN portion of the curriculum, or finish the entire ADN program. Upon graduating from the full program, students are eligible to sit for the NCLEX-RN examination. Visit the Labette Community College nursing website to learn more. Pittsburg State University’s Irene Ransom Bradley School of Nursing offers a reputable pre-licensure BSN degree. With stellar faculty who are dedicated to their students, this program boasts an impressive 97% retention rate. Internship and research opportunities are also widely available to enrolled students. Learn more by visiting the Pittsburg State University nursing website. Butler County Community College’s fully accredited associate degree in nursing program can be completed in just two years of study. Their approach to nursing education includes professional growth and lifelong learning, and aims to prepare RNs as fully functioning members of a healthcare team. Graduates of the program go on to find employment in a wide variety of medical disciplines. Check out the official Butler County Community College nursing program.